Starting October 26th, Hallmark Channel and Hallmark Movies and Mysteries are gifting us 36 new and original Christmas movies. T H I R T Y – S I X. As a Hallmark fanatic, I am super excited. As a person with a blog dedicated solely to recapping and reviewing Hallmark movies, I am terrified. Combine both of those things, and I am praying that I don’t get burnt out. Is there enough coffee in the world to get me through this? Last night, the always warm and wonderful, Lacey Chabert hosted Hallmark Channel’s Christmas: A First Look Preview Special and gave us a sneak peek into 6 of the movies we will see in the #CountdowntoChristmas and #MiraclesofChristmas 2018 lineups. Also, Happy the Dog was there wearing a Christmassy tie. Can we get a Hallmark movie based on that alone? Let’s get into the movies, shall we? This mildly injured aunt needs these cookies to be great!!!!!! Must get promotion at important job! But what about the cookies?????? My Takeaway: Uhmmmm this movie looks adorable. Danielle Panabaker and Matt Long’s chemistry in their behind-the-scenes interviews ALONE is enough to make me fall in love with this one. I must remember to have cookies ready so I’m not in a terrible mood because I don’t have five cookies in each hand while watching. Maybe an Elvis impersonator dressed as Santa?! My Takeaway: There will definitely be singing in this. And it will be good singing, so I am excited. Also, Kellie Pickler has so much charisma and a real accent. We won’t have to cringe through a fake twang!!!!!!!!!!!!!!! Pretty sure they are watching A Happy Yule Log in the background. My Takeaway: Brooke D’Orsay as a baker makes so much sense. Brooke D’Orsay in any Hallmark Christmas movie makes so much sense. She is amazing. I love her. I will love this movie no matter what. See, Brooke is also excited. My Takeaway: I’m worried I will get confused that it’s the Hallmark Channel and Ryan Paevey isn’t playing Mr. Darcy. BUT I like Michael Rady, so I won’t be upset. Cutting school arts programs, I think? Probably then saving school arts programs? My Takeaway: The scene they showed us was a meet cute discussing a meet cute, then having a conversation about meet cutes in romcoms?! Will the Hallmark universe implode while this is airing? If I play this backwards will I get trapped in a snow globe that is an alternate Made-for-TV Christmas movie universe? Should I be scared or excited about this movie?! My Takeaway: Marrying Mr. Darcy – the dogs + All of My Heart: Inn Love = Marrying Father Christmas. Also, this preview show taught me how to properly pronounce Krakow and Matter. And that’s the tea (Omg did I use that expression correctly? It is my first try, please give me a break). What a great subject to talk about on your blog! All of the movies you mentioned sound like they have potential, but I’m most excited about the Hallmark Hall of Fame film, especially since Hallmark has been keeping the synopsis under wraps for a few months now! 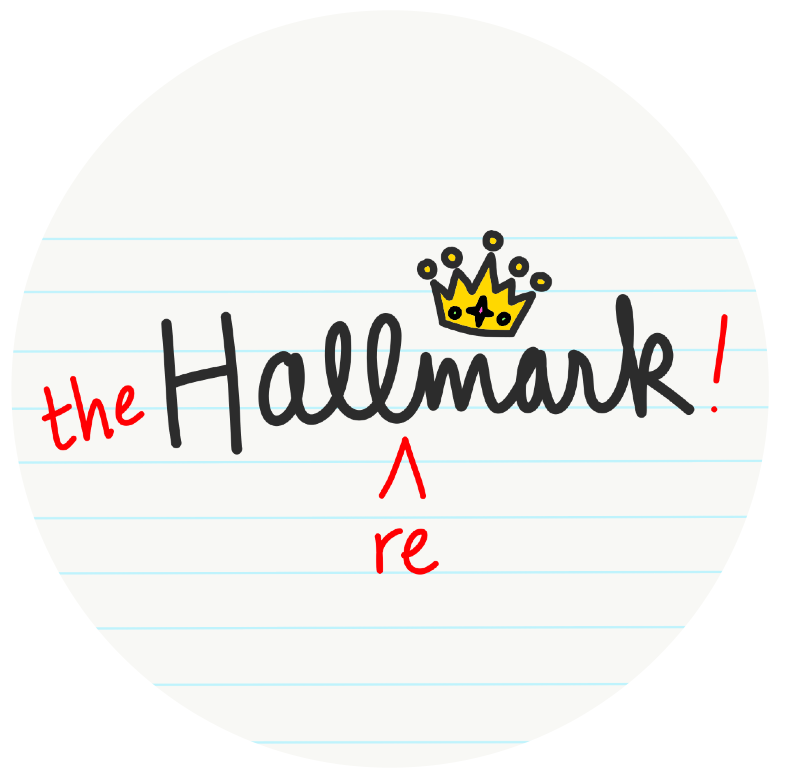 Which Hallmark movie are you looking forward to the most? I’m excited for Christmas Joy and Christmas Recipe for Love! I really wish they had used other names for Christmas at Pemberley Manor. Die hard fans of Hallmark Channel already associated Elizabeth and Mr. Darcy with Cindy and Ryan. I’ll try not to allow that to prejudice (see what I did there), against this movie.